The book contains almost 600 informative footnotes and 225 interesting and challenging Q&A's. Learn things like: How long did Jesus Walk on the Water; which disciple was missing when Jesus first appeared to them, how many people were crucified with Christ? What two things did God do BEFORE the creation? And Many other topics. 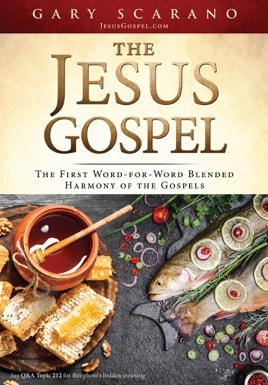 The Jesus Gospel© is an excellent gift idea for friends and family for Christmas, Easter, Baptisms, and other occasions. It is for beginners, seasoned readers, and a great resource for plays or movies. The author spent the 33 years placing every-single-word in order and blending them together in a cohesive story. Order your copy of The Jesus Gospel here.